You already know some basic information about Sogaeting, blind date in Korea. Now the question is, why are blind dates so popular there? Actually for guys blind dates can be considered as a waste of money and time. Eating in restaurants is always guys' treat and there's seldom a second date. 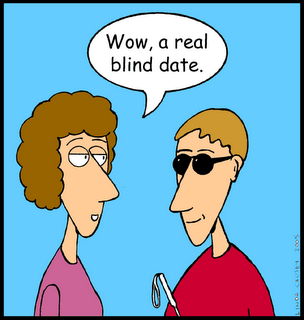 So for women, blind dates aren't bad at all. Even if you don't meet the guy again, at least you get a free meal. I don't know if it's true, but I think sogaetings are so popular in Korea, so everyone just has to try it out at least once. It's a must-do activity. Especially students, who go to all-guy or all-girl schools/colleges, are the most frequent people going on blind dates. Probably they are bored in an environment without the other gender so they try to get contact with them outside the school/college. Marriage is a very important aspect in Korean culture. Most of Korean parents tell their children to marry as soon as possible. Most probably single people who are nearing the age of 30 don't get all that happy on their birthday. In that occasion you don't only get older but also some annoying long speech from your parents. So beside those sogaetings with purpose of getting some fun, there's another kind of blind dates: blind date with purpose of marriage. The rendezvous is usually arranged by the parents who are already yearning for grand children. First they try to pair their child up with someone from their circle of friends. Probably you know such situation like “Oh, you have a son? What? He's just two years older than my daughter!”. If there's still no progress, sometime they try with professional matchmaker. I must admit I didn't know that such professional matchmakers do exist. From such situations it's ideal to be engaged about three months after the first meeting and married about one year after. In your first wedding anniversary you should already have a child! Honestly, I don't know what to think about it.. In my opinion, all this thing about marriage is a bit.. exaggerated. It's not your fault if you haven't found your Mr. or Mrs. Right yet. To me, marriage without love is a no-no. What do you think?